As Chief Talent Officer at Netflix, Patty McCord helped create an onboarding document based on the principles of freedom and responsibility. Then it went wildly viral. What’s the mojo behind your company culture? 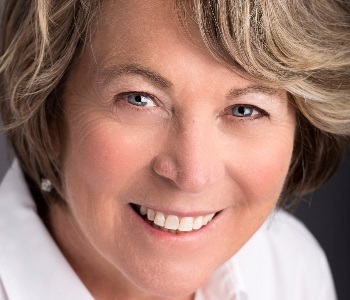 For Patty McCord, it's about turning employee empowerment on its head. Netflix achieved its legendary fast growth (jumps in revenue as high as 30% quarterly for several years running) by “treating people like adults,” McCord says—giving them the leeway to rely on their own judgment in almost every situation, while demanding superb, no-excuses performance. That approach to employee performance has become highly influential. Written by McCord and Netflix founder Reed Hastings over the decade from 1997 to 2007, it spells out how Netflix manages its people, and what it expects from them. “The Freedom and Responsibility deck,” as it’s known in Silicon Valley, went viral in 2008, and has gotten over 15 million views so far. Monster recently spoke with McCord about the Netflix approach to hiring the best person for every job and creating a dynamic company culture. Q. Talk a bit about what you mean by “treating people like adults” and the “freedom” part of the equation. A. A big part of the Netflix culture is about stripping away the red tape that slows people down, like requiring them to get authorization to spend money. If you’re a PhD in math who needs to get approval from the finance department to spend $5,000, that’s a waste of time. Making people jump through these silly hoops just makes them cynical, and rightly so. Another example is vacation policy. Most companies keep a list of 10 holidays celebrated in the Christian U.S., and everybody takes those days off. But that just doesn’t work globally. So Netflix lets local managers and their teams make all decisions about time off. Q. What interview questions worked best for you in finding the talent Netflix needed? A. Great hiring is like painting a house: It’s all in the preparation. We came to realize that, before you even start looking for candidates, you need a very clear idea of, first, why are you hiring someone now for this role? What problem are you trying to solve? How will you measure success in the job? What would success look like, say, six months from now? Then tailor your interview questions to the specific situation. Most interviews go wrong because they’re too broad and general. One question we often asked was, tell me about a time you produced results independently. Or, tell me about a time when you wished you had done something differently, and why. For me, the ideal hire was sometimes a “rebel” type who was yearning to leave a structured bureaucracy, to accomplish something he or she couldn’t do there. Q. How can you get a sense in interviews of how candidates would perform as team members? A. One of the best things you can say to a candidate is, tell me about a time you were on a great team, and what was great about it? People’s faces light up. You know, so many managers in Silicon Valley try to make employees happy by hiring chefs and masseuses and putting pool tables in the break room—it makes me crazy. Instead, go ask people what in their careers so far has made them happiest, and it’s always something that forced them to do their very best work, improvise, use all their talents, and take risks in order to reach a goal. And very often they speak in glowing terms about their teammates, and how everyone pulled together. Q. You write in Powerful that letting people go is a crucial part of putting the right person in every job. Could you explain? A. Lots of companies pride themselves on employee retention, but what a weird thing to measure success by! Very often, people are hired to perform a specific task or solve a particular problem. When that’s done, it’s perfectly okay to let them go, to make space in the company for high performers in new functions, or with different skills. But of course, it has to be done respectfully. People have to leave with as much advance notice as you can give them, as well as severance pay, references, and contacts. Help them leave feeling proud of what they’ve done for you. It matters in recruiting top talent. You want to make sure your company has a reputation as a great place to work.